The Krewe of ALLA rolls Sunday (Feb. 24) at 2 p.m. on the traditional Uptown route, and the theme this year is “Are We There Yet?” Look for throws that reflect the theme, including themed beads and bags. The krewe’s signature theme is hand-decorated genie lamps. 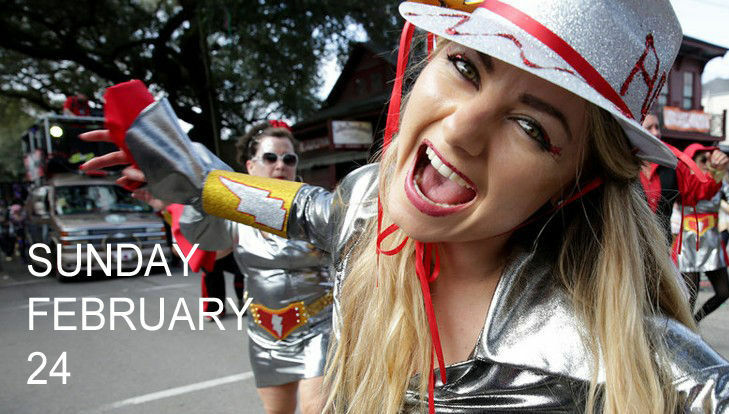 Krewe of ALLA caps off a morning of Uptown parades that begins with Mystic Krewe of Femme Fatale at 11 a.m., followed by Krewe of Carrollton at noon and Krewe of King Arthur at 1 p.m. After a stormy evening, Sunday’s day parades will begin with clear and sunny skies.